An ultrasound is known as a unique imaging test which makes use of high-frequency sound waves for capturing live images of various organs and structures inside your body. An alternative name of ultrasound is sonography. An ultrasound test qualifies healthcare professionals to view and detect problems related to heart, liver, kidneys, blood vessels and tissues. The test doesn’t require any surgical intervention. Where can I get my get my Ultrasound Test done? In contrast to separate imaging techniques, no radiation is used in an ultrasound. That’s why, during pregnancy, doctors prefer resorting to ultrasound to view a developing fetus. Dr. Lalchandani Lab, a premier diagnostic centre in New Delhi offers holistic ultrasound tests in Punjabi Bagh, the lab’s most recently opened centre having a class that’s a cut above the rest. Why does one need an ultrasound? 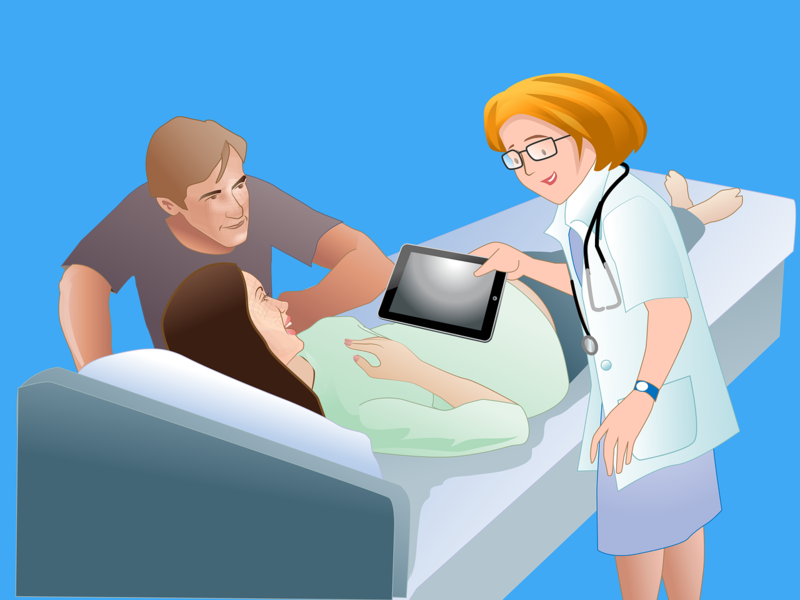 A vast majority of people relate ultrasound tests to pregnancy. The scans help to provide an expecting mother with an introductory view of the developing fetus in her womb. An ultrasound test also offers relevance in directing a surgeon’s actions during a certain medical procedure, for example, a biopsy. A technician, who performs an ultrasound, also known as a sonographer, will first apply a special type of lubricating jelly on your skin. This helps to prevent friction so that the ultrasound transducer can move smoothly back and forth on your skin. The appearance of the transducer is similar to that of a microphone. Besides, the jelly transmits sound waves. High-frequency sound waves are emanated from the transducer and spread all across your body. As and when the waves brush against a dense object like a bone or an organ, they reverberate. The echoes and reverberations hit back into a computer and form an image that can be construed by a doctor. Based on the area of examination, you may be required to alter positions so as to facilitate the technician have better access. Once the procedure is over, you’ll be asked to remove the jelly and clean off your skin. Depending on the area being examined, the entire procedure typically takes around 30 minutes to get completed. With completion, you can resume normal activities. As one of the top-drawer diagnostic centres in New Delhi, Dr. Lalchandani Lab provides ultrasound services as part of best health packages in Punjabi Bagh. Subsequent to your examination, the ultrasound images will be reviewed and analyzed by your consulting doctor to check for abnormalities. On the off chance that your doctor is able to correctly diagnose your specific condition contingent on your ultrasound report, you might be asked to start the appropriate treatment immediately.